CDC Victoria is proud to be the first bus company in Victoria to participate in Movember by adorning 150 vehicles in its fleet with official moustaches – to raise awareness and funds for the Movember campaign. The nationally-celebrated campaign ran throughout the month of November 2018 supporting men’s health awareness in particular for prostate cancer, testicular cancer, mental health and suicide prevention. 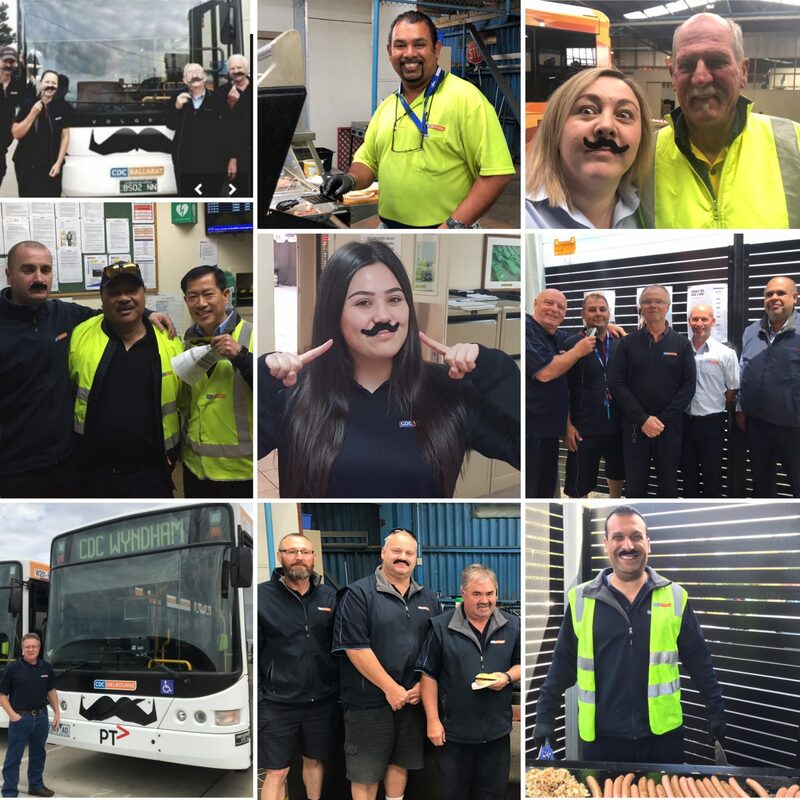 All 6 CDC depots (including CDC Tullamarine) supported the campaign with creative fund raising activities taking place such as bake sale, depot BBQs, friendly competitions, mo-growing and an official ‘shave off’. We’re happy to announce that corporately we were able to raise over $5,500 for this great cause and are delighted that so many of our staff joined in the fun. We were also delighted that our staff were featured in the ‘Wyndham Star Weekly’ newspaper for their involvement in the ‘shave off’ – click here to read the article.